A Michigan-based investment group purchased the 1980s BellSouth office building near the Orange County Courthouse and is exploring renovations for offices or razing it for apartments. West Second Street Associates purchased the building at 500 N. Orange Ave., Orlando, from AT&T for about $7 million. “We think the property lends itself as office or as residential, and we’re going to let the market determine the future of the site,” said John Pavone, business-development director for the firm. If one or two tenants step forward during the next few months to claim the majority of what will be 100,000 square feet of space, the owners will “re-skin” the building and improve it to meet their needs. 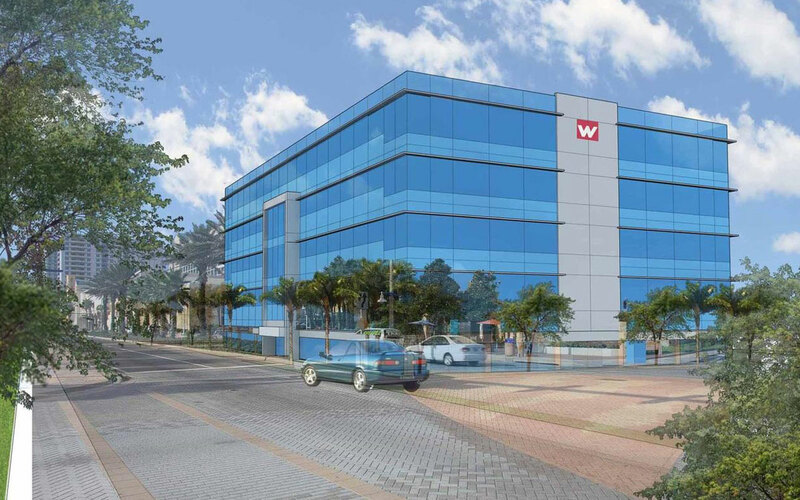 If no companies commit to the space within six months, West Second Street will take advantage of the building’s proximity to SunRail commuter rail by pursuing plans for an apartment project there, Pavone said. 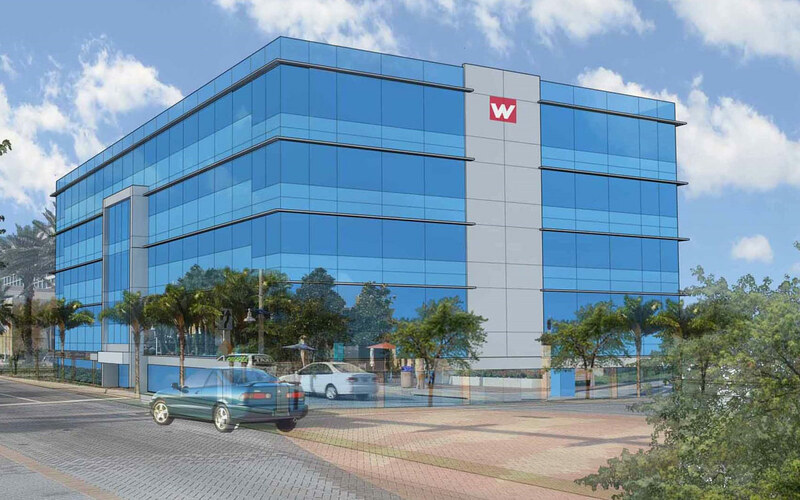 The somewhat-ambiguous plans for the five-story building underscore the office and apartment pressures at work in downtown Orlando. Rental occupancy and rates for the urban core have continued to push up even as several new apartment complexes, including NORA and the Sevens, have come online along North Orange Avenue. Across Orange Avenue from the BellSouth building, the Tribune company has proposed redeveloping the property leased by the Orlando Sentinel. The Chicago-based company would not comment on marketing plans for the site. In terms of office needs, vacancy rates have declined in recent years. Both CNL and Highwoods are poised to introduce new, downtown office towers after almost a decade when none was built. The BellSouth building could be a faster and more economical choice than new construction for companies hunting for downtown space, Pavone said. 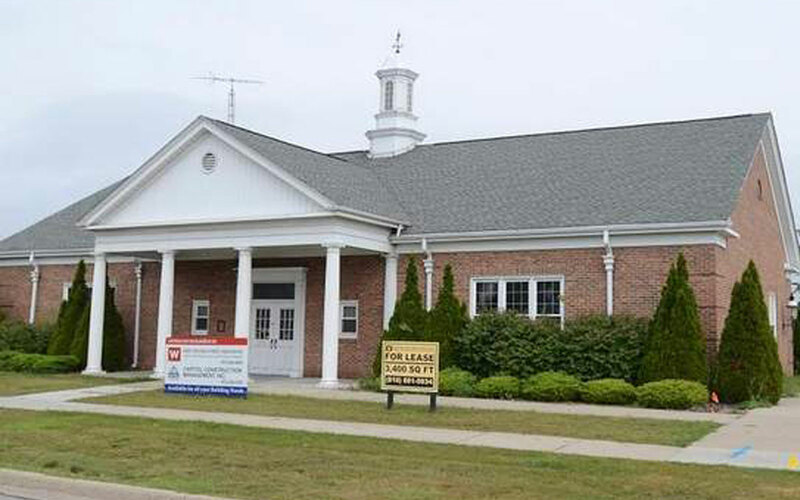 The former AAA Michigan building on Lapeer Avenue in Port Huron will be leased by the U.S. Customs and Border Protection Air and Marine office. The 7,000-square-foot building at 933 Lapeer Ave. is being renovated by a Flint developer to accommodate the agency. John Pavone is a representative of the building’s owner and developer, West Second Street Associates. 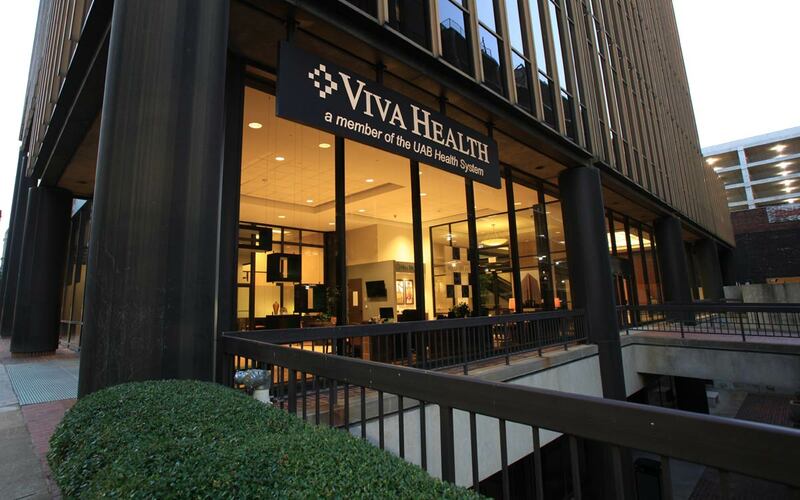 BIRMINGHAM, Alabama – Viva Health has taken nearly 60 percent of the former Regions Plaza building in the heart of downtown’s central business district and has renamed the building after the growing Alabama health insurance company. Viva held its official ribbon-cutting today in the lobby of the 18-story former Regions Plaza at 417 20th St. North and has renamed it the Viva Health Building. Viva is taking the top nine floors and a portion of the lobby for its 300 employees. Cardwell Feagin, chief operating officer at Viva, said the insurance company, part of the UAB Health System, spent a year weighing different locations for its new corporate headquarters before choosing the former Regions Plaza. After seven months of renovations, the space is housing all of Viva’s corporate operations and is giving it room to grow for the next decade. Dr. Ray Watts, president of UAB, said Viva has grown from a small upstart to a major player in the health insurance industry. Viva now has twice the staff it did when it moved into its previous location at UAB Highlands in 2006. Viva insures more than 90,000 Alabamians. Having the Viva Health building on the same corner as buildings with Wells Fargo and Regions Bank puts the company in the “sweet spot” of downtown, Watts said. Birmingham Mayor William Bell said he is glad the Viva Health Building has come alive with hundreds of workers. He said when the Federal Emergency Management Agency temporarily occupied a portion of the building following the April 27, 2011 tornadoes, it brought new life to the area but made it all the more apparent of the vacancy when FEMA’s time in the building came to an end. Tracey Morant-Adams, head of the Birmingham Mayor’s Office for Economic Development, said her office along with REV Birmingham were able to work with Viva to make the move possible. Brad Rollow, chief executive officer of Viva Health, said the company’s employees have been excited about moving into the Viva Health Building. He said they wanted to be a part of the new energy downtown while still being close to UAB. Viva’s Feagin said the corporation did an analysis of where its employees live and commute and the Viva Health Building was the least disruptive of all of the sites they considered. That’s music to the years of David Fleming, president of REV Birmingham, which advocates downtown redevelopment. “Viva is the latest business demonstrating to the corporate community and the community at large that downtown Birmingham is open for business,” he said. John Pavone, a representative of Flint, Mich.-based West Second Street Associates LLC, which owns the Viva Health Building, said having Viva in half the building has raised interest from other potential tenants. “Viva’s new headquarters is confirmation that this is not only one of the best corners in Birmingham, but one of the best corners in the state of Alabama for business,” he said. Viva is using seven floors now and two for future growth and storage. 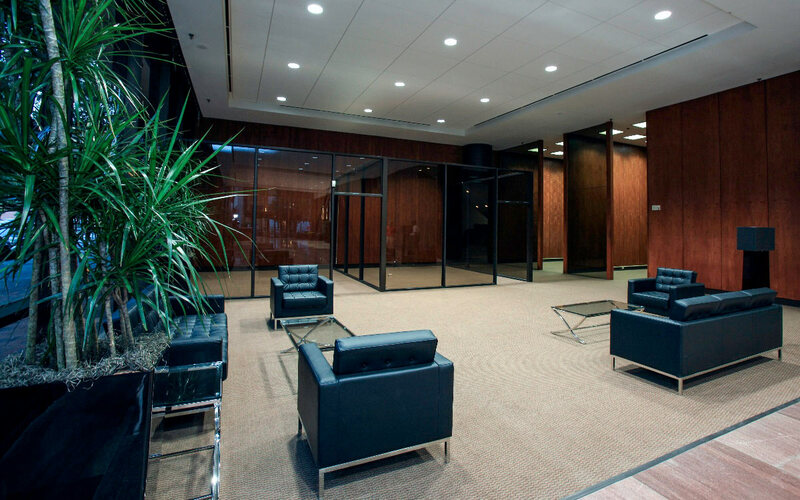 Its 3,000 square feet of lobby space serves as a welcome center that allows current and prospective members to have face-to-face interactions with Viva employees. 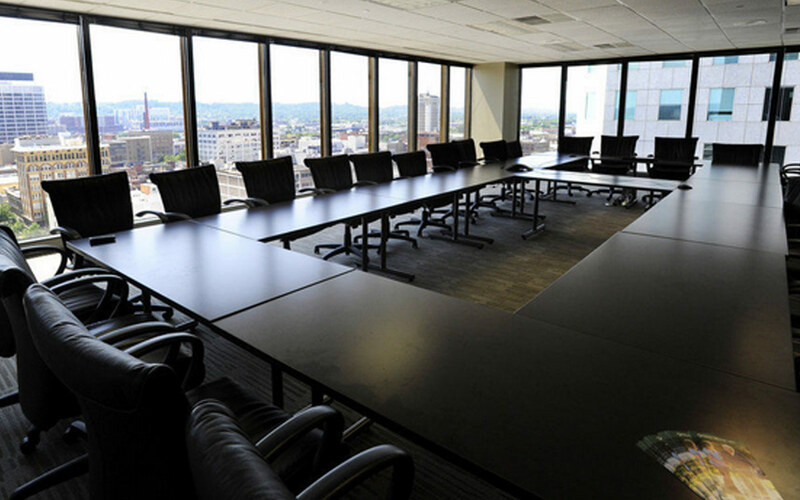 Viva had four conference rooms in its previous building. The new space has 13 conference rooms, with each one named for a Birmingham landmark. Anna Velasco, spokeswoman for Viva, said having the company’s name on top of the building is a significant marketing tool that has already raised Viva’s profile. Birmingham, AL-based HMO Viva Health, Inc., will take occupancy next month of its nearly 100,000 square feet leased the Plaza Birmingham building at 417 N 20th St. The HMO will occupy the top 9 floors of the 17-story building owned by West Second Street Associates (WSSA), a public-private real estate development company headquartered in Michigan. WSSA’s John Pavone represented the building owner in the lease transaction. Joe Sander, IV, of Colliers International in Birmingham, brokered the deal for Viva Health. Colliers International announced that it has been selected to market a 273,000-square-foot, 16-property office portfo­lio that is fully leased to federal agencies through the Government Services Administration (GSA). GSAXCHANGE, a group within the Colliers Government Solutions team, and Raymond James Financial will market the portfolio on behalf of owner West Second Street Associates (WSSA). The properties are occupied by a number of GSA tenants including the Social Security Administration (SSA), Internal Revenue Service (IRS), Immigration and Customs Enforcements (ICE), Department of Veterans Affairs (VA), and Customs and Border Protection (CBP). GSAXCHANGE is an investment sales and capital markets platform focused solely on the government-leased asset marketplace. Colin Cavill and Bob Cottle, both GSAXGHANGE team members based in Atlanta, and Darrin Kennedy, based in Los Angeles, will lead the marketing efforts for the portfolio. The office portfolio includes properties in Michigan, Ohio, Florida, Texas, Colorado and Minnesota. The properties range in size from 6,000 to 40,000 square feet, and have an estimated combined value of $118 million. The portfolio includes both new construction and pre-existing space, with the oldest property completed in 2006. The remaining average lease term is 10 years. Colliers Government Solutions is the industry’s only comprehensive services platform focused solely on government real estate. Its professionals span multiple disciplines but work as a team to provide clients with solutions tailored to the unique and often complex requirements of government-leased properties. The platform consists of six services specifically focused on government real estate: leasing, investment sales, finance, property management, appraisal and tax appeal. West Second Street Associates (WSSA), a Michigan-based firm that specializes in developing and managing buildings for General Services Administration (GSA) tenants, has selected Colliers International to shop a 16-property single-tenant portfolio of office properties totaling 273,000 square feet.The GSA-leased office portfolio has an estimated value of $118 million. Eight of the properties are located in Michigan with the others in Ohio, Florida, Texas, Colorado and Minnesota. The buildings range in size from 6,000 to 40,000 square feet and carry and average lease term of 10 years. Federal agencies occupying the buildings include the Social Security Administration, the IRS, Immigration and Customs Enforcements, Customs and Border Protection, and the Dept. of Veterans Affairs. GSAXCHANGE, a group within the Colliers Government Solutions team, and Raymond James Financial are marketing the portfolio to prospective buyers. Colin Cavill and Bob Cottle, both based in Atlanta, and Darrin Kennedy, based in Los Angeles, are leading the sales effort.Cavill, managing director of Colliers International’s GSAXCHANGE unit, said he expects the collection of single-tenant properties to attract a high level of interest from investors due to the credit worthiness, long average lease terms and renewal rates of associated with federal government tenants. “These GSA properties provide a steady income stream and consistent yields,” said Cavill. Flint Michigan based West Second Street Associates has acquired a 118,000 sf office building from AT&T. Located at 500 N. Orange, the property is only 300 feet from the new Lynx Rail Station, at the same intersection as the 23 story Orange County Courthouse, and immediately across the road from the recently proposed Orlando Sentinel redevelopment project. An existing office building constructed in 1980 currently resides on the 2.25 acre site. “We have developed architectural renderings that include a new glass curtain wall for the building” said John Pavone, Director of Business Development for West Second Street Associates. WSSA is known within industry circles as one of the nations largest privately-held developers of properties for the General Services Administration (GSA). The General Services Administration is the leasing arm of the Federal Government. In a similar transaction , WSSA purchased the former World Headquarters of Regions Bank in Birmingham Alabama. Vacated following the merger of Regions Bank and AmSouth Bank, the Regions Plaza building boasted 218,000 sf in an 18 story structure. Standing in the shadow of the 34 story Wells Fargo Tower and 30 story Regions Center building, the Regions Plaza Building had a similar “Main and Main” location in the CBD of Birmingham Alabama. The Plaza was quickly leased to the health insurance provider of the University of Alabama at Birmingham (UAB) known as Viva Health. “We are currently in discussions with many interested parties. One thing is certain, we are extremely excited about the future of the property!” Pavone said. The University of Alabama at Birmingham is looking to lease space in the vacant Regions Plaza in downtown Birmingham. The school has opened negotiations with the 18-story Plaza’s owner, West Second Street Associates LLC, about leasing space for administrative offices, according to multiple sources familiar with the matter who asked to remain anonymous. If the deal goes through, UAB would take space not occupied by Viva Health Inc., which is planning to relocate next year. Neither John Pavone of West Second Street nor UAB spokeswoman Dale Turnbough immediately returned calls or emails. Regions Plaza was home to the headquarters of Regions Financial Corp. (NYSE: RF) prior to its 2006 merger with AmSouth. A hotel was once planned for the building, but that project stalled during the recession. 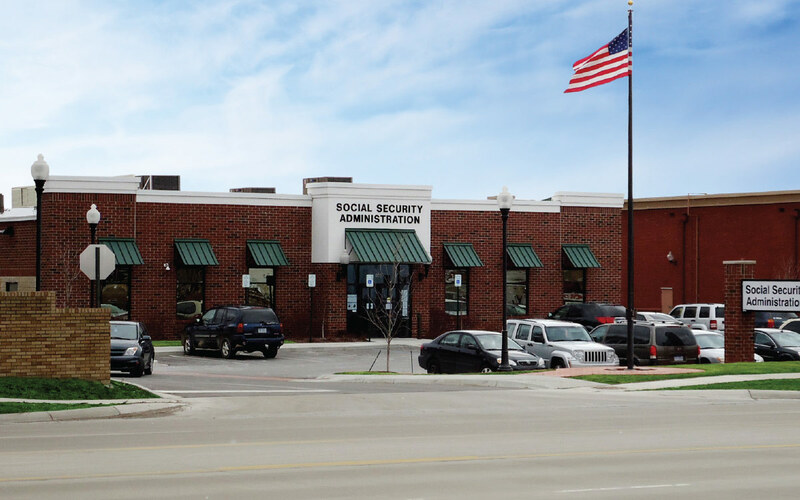 Regions Financial Corp. sold the 217,875-square-foot Plaza in March 2011 to West Second Street Associates for $5 million – $2 million less than Regions’ asking price. The new owners of the former Regions Bank headquarters building plan to “reactivate” the downtown tower as offices, with the possibility of a bank branch on the ground floor and a 150-room boutique hotel on lower floors that caters to business travelers. Flint, Mich.-based West Second Street Associates bought the 18-story Regions Plaza at 417 20th St. North from Regions Financial Corp. and is moving forward with an aggressive leasing plan with hopes of filling most of the building with federal government offices. Neither Regions nor West Second Street have disclosed the purchase price for the building. Pavone said most of the floors in the tower have 11,000-square-feet of space, though some floors have been divided into two 5,000-square-foot spaces. He said the company is willing to replace paint and flooring for tenants at an added cost, but for those who want “as is” space, there are bargains. West Second Street is asking $15 to $30 per square foot in annual rents, depending on the degree of tenant improvements. “The location of the building is perfect for businesses that support the financial services industry or the court system,” he said. 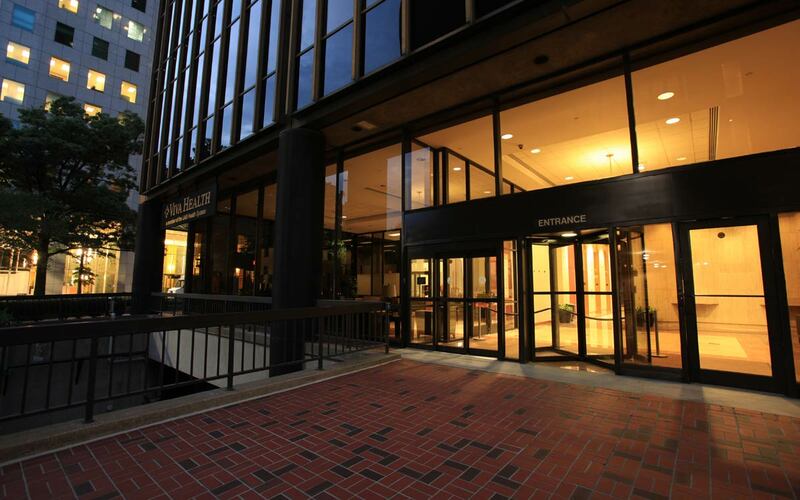 The ground floor, which was home to a Regions Bank branch for decades, is being pitched to several banks, including some that would be new to the Birmingham market, Pavone said. Pavone has submitted the building to the U.S. General Services Administration, which is looking for space for several federal offices in Birmingham, including 75,000 square feet to relocate the U.S. Treasury Department from Homewood, 20,000 square feet for the U.S. Department of Labor and the Bureau of Mines to share, and 27,000 square feet for an unidentified agency. Pavone said the GSA has no firm date for deciding where the new offices will be. West Second Street has specialized in GSA projects, completing nearly two dozen of them in the past. The economy already killed one deal for the building. Birmingham’s Harbert Realty Services tried for more than three years to bring a $61 million, 261-room Marriott Renaissance Hotel. The economy soured and made it difficult to secure financing for the four-diamond luxury hotel. Pavone said the new $50 million Westin Hotel being built near the Birmingham-Jefferson Convention Complex will cater to convention and recreational travel and give weekend visitors a new option. He said there is still a need for the business traveler who wants to be near the law offices, government offices and banks downtown during the week. Pavone said a hotel component to Regions Plaza remains an option, but is not definitive. 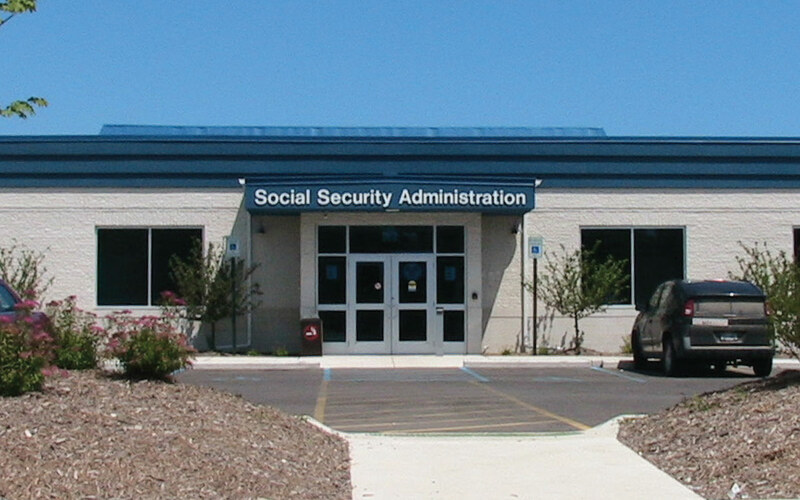 Construction will soon begin in Clawson on a new building to house a new office for the U.S. Social Security Administration. The new structure located at 14 Mile and Crooks roads will replace the current Royal Oak location. 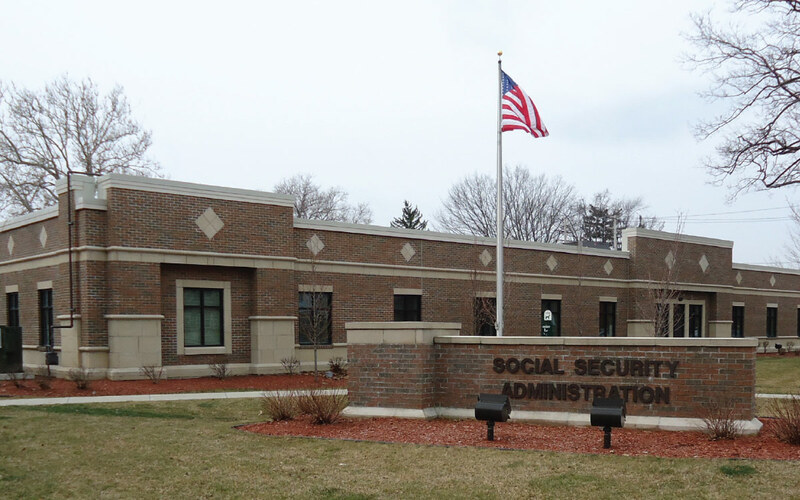 Privately owned by Flint-based West Second Street Associates (WSSA), the building will be one of more than 20 structures that WSSA has built and leased to various federal government agencies. While detailed planning has already started, construction will not begin for another couple of months and completion of the project is expected within seven months. The 11,000-square-foot building will be mostly brick with ornamental fixtures and the interior design has nearly reached completion. John Pavone, business development director for WSSA, said that the structure will be a Leadership in Environmental Engineering and Design (LEED) facility, meaning that state-of-the-art environmentally-friendly features will be featured throughout the building.